ELIZABETH CITY, NC –– The 2016 Chrysler 300 provides iconic, bold, luxury styling and incredible performance. The 300 has been redesigned with all the connectivity and comfort you want and power and safety you need. To see all the details download the 2016 Chrysler 300 brochure below. ­­The 2016 Chrysler 300 offers a quality quiet and smooth ride even over rough roads thanks to its 4-wheel independent suspension, premium shock absorbers, and multiple bashings to reduce road noise. The AWD system engages in shard road inclines and declines as well as in temperatures below 37 degrees, when wipers are in use, or when ABS engages during wheel-slip. Engines available in 3.6L V6 or 5.7L Hemi V8 VVT with Fuel Saver can deliver up to an EPA-estimated 31 MPG highway. The sculpted, chrome accented front and rear create an athletic stance, while the larger grille stands tribute to a classic shape conveying luxury and brilliance. The interior lends to indulgence in the ergonomics that put everything in reach, standard leather trim, heated seats, LED needles and digital Driver Information Display, heated leather wrapped steering wheel, and BeatsAudio. 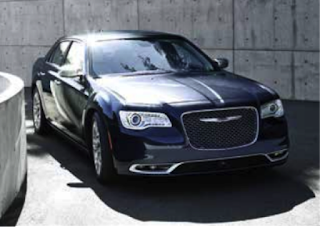 To see all the trim details and features download the 2016 Chrysler 300 brochure. If you want to put more luxury and power into your drive, stop by Perry Auto Group to purchase or lease your 2016 Chrysler 300. Perry Auto Group has two dealership locations to serve you better at 1005 W. Ehringhaus St, Elizabeth City, NC, 27909 or 1001 Halstead Blvd Elizabeth City, NC 27909. Stop in for any of your auto or community needs, or feel free to give us a call at (252) 338-9100.